Resolution: ND-series locks manufactured on or after January 30, 2017 will ship with an improved spring cage and matching lever design. The design features are noted below. Because of this change, there are several components that need to be considered (spring cage, lever, plunger and button) when replacing parts from locks that have shipped prior to January 30, 2017. Schlage's mechanical lock technical support group can assist you with finding the correct parts. NOTE: ND locks manufactured on or after January 30, 2017 will no longer make use of the soft durometer spacer. 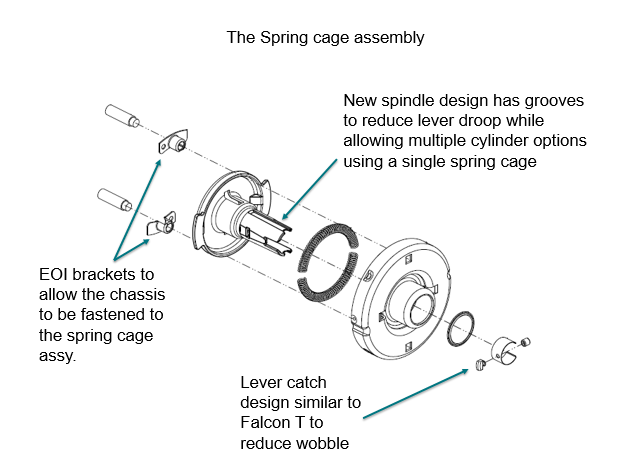 The improved spring cage and matching lever eliminates the need for this spacer. Schlage is committed to continuous improvement. 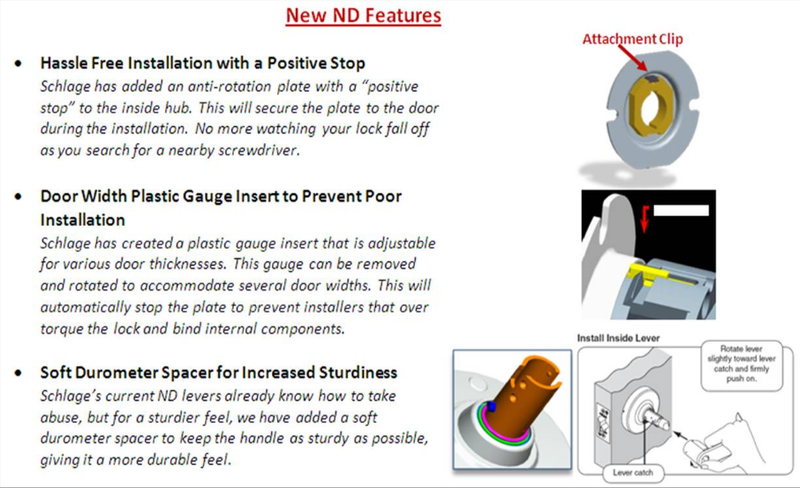 In an effort to help ensure the ND is installed accurately in the field, Schlage has added a few new features to the ND lock. All changes started shipping with every ND product October 29, 2012, and these changes are highlighted on an insert in each box.